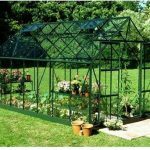 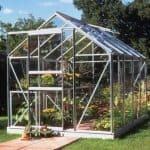 This 8 x 20 polycarbonate greenhouse has the big advantage of having polycarbonate panels all around. 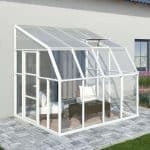 These panels provide excellent protection against UV rays, and also provide durable protection as well. 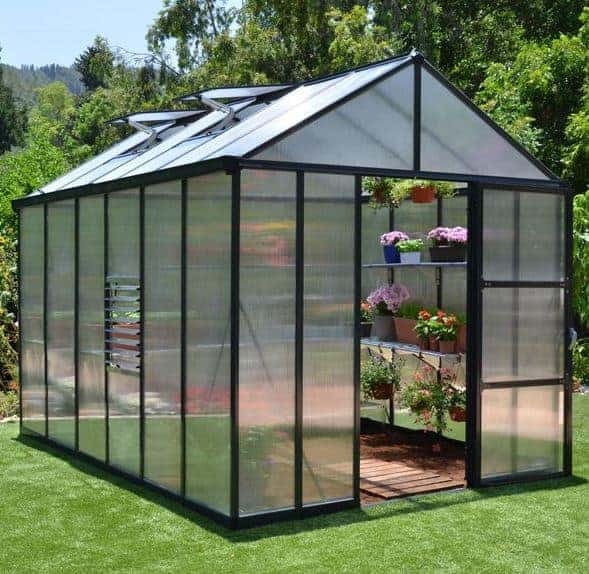 Polycarbonate as a material is very strong and is also shatter proof as well. 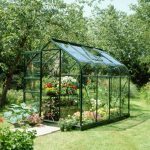 If you have children or pets in the garden, this provides them with some clear protection. 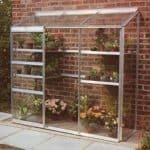 The unit also comes with a fully lockable hinged door, so you have plenty of security in the building as well. 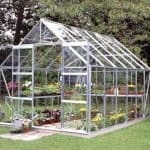 There is also a galvanised steel base in the building, which provides plenty of durability and also some protection against rust.